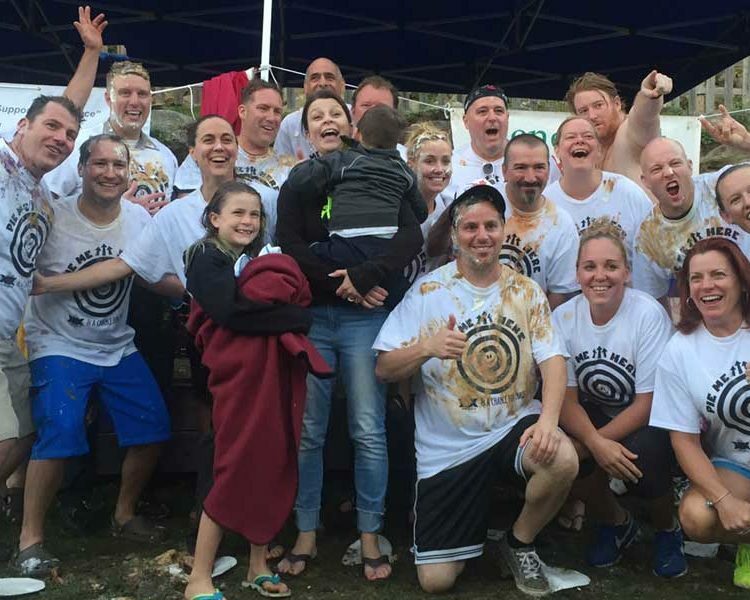 The Pie in the Face for Chase is an annual event held at Moguls Sports Pub in KIllington to raise money and awareness for a local boy in the Rutland/Killington area. Chase was diagnosed with Phelan McDermid Syndrome at the age of 2 and is one of only 1500 diagnosed cases worldwide. The event benefits The Chase William Kuehl 3rd party special needs trust and the Phelan McDermid Syndrome Foundation. 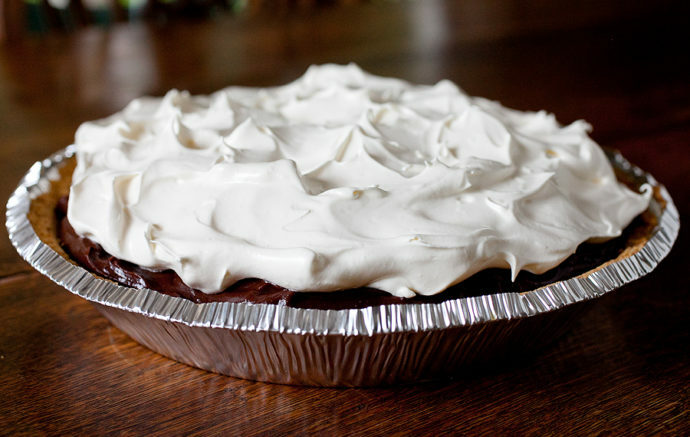 Local “Celebrities” volunteer to be pied in the face by either a whipped cream pie, a pudding pie or a fresh Mendon Mountain Orchards Pie. There is a suggested donation of $10 per person (Children Free) and with that you get a raffle ticket good towards some great door prizes. There is also a silent auction and a teacup raffle. This community continues to show Chase and PMSF a lot of love and support. This charity is near and dear to me and I’m honored that so many people volunteer to get pied over and over and also help us raise much needed money. Last year (2017) when I saw that we raised $15,000, I felt blessed to be a part of such a wonderful community. Thank you to all who helped us achieve 10 times our first year total, in only our 4th year! Can’t wait for this year’s event. Chase is my little brother. He has special needs and he does things differently than other kids. He inspire me because he has to work harder to learn things by himself…Like when he figured out how to get into his car seat by himself or when he swam to the edge of the pool in his life jacket. He is so proud of himself! He cannot tell me in words since he does not talk, but he lets me know when he wants to chase me around the yard or cuddle with me watching TV. Then we play like brothers. I am excited to be a part of the Freshman class and be pied for chase.